PDF version of this press release here, with DOHMH lead report attached. or Being Bullied for Calling the City for Inspections! was the result of unchecked dust from demolition work being performed in the building. Last Saturday over 100 activist tenants, advocate state legislators, and housing organizers joined together in a spirited Town Hall meeting. 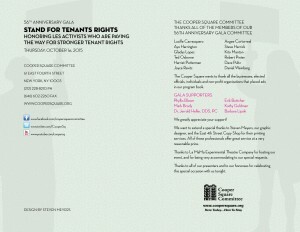 We discussed how important it was for tenants to become super-activists for the next 3 months. Let’s start on Thursday, April 11. 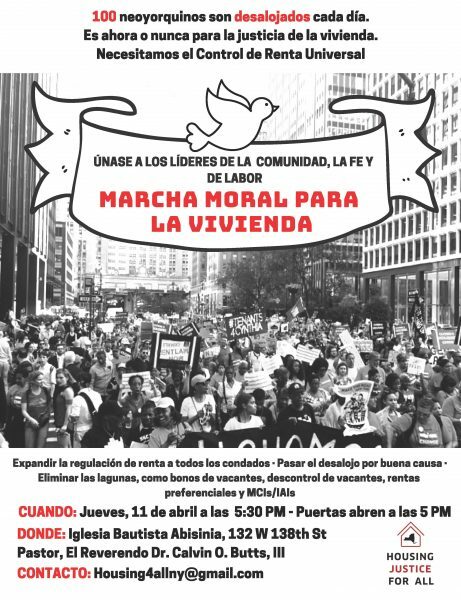 Starting with speakers and a choir, followed by a march to the Adam Clayton Powell State Building at 125th St. If you have any questions, call us at (212) 228-8210 or e-mail Alex or Jodie. Simultaneous translation provided in Spanish and Cantonese/Mandarin. Traducción simultánea en español y cantonés / mandarín. 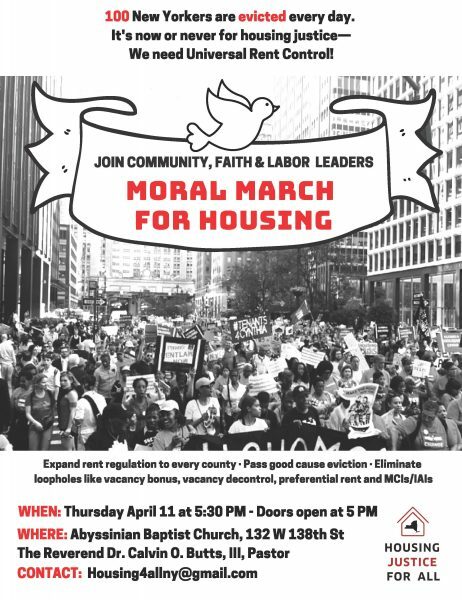 Come out to learn more about the new Rent Stabilization law reforms and universal rent control! If our elected officials see the room filled with tenants, they’ll be motivated to work even harder to pass rent laws that protect us. simultaneous translation in Spanish and Chinese (Mandarin & Cantonese) provided. Visit coopersquare.org , email alexl@coopersquare.org, or call (212) 228-8210 for more details. Download 3 language PDF of flyer here. Click here for a PDF summary of all laws introduced and passed into law in 2017. Wish your councilmember a Happy Valentine’s Day! In celebration of Valentine’s Day, let’s show our Council Members some love…by sending them some amazing e-cards! Here are 5 amazing Valentine’s-themed STS e-cards which y’all can send to your local Council Members, kindly reminding them to please pass our 12 STS bills regarding construction-as-harassment. If possible, please take some time to e-mail your local Council Member one or a few of these fabulous e-cards. It will only take a minute or two! On a mobile device, click to enlarge each image then choose a Share option, or on your desktop you can right-click and choose Save As. Not sure who your Council Member or what their contact info is? Click here. Happy Valentine’s and e-card sending day!!! Due to the popularity of this event, we reluctantly must limit participation. We cannot accept new RSVP’s and if you attend without an RSVP, please be aware that you cannot be assured a seat. We are planning a similar event in the Spring. 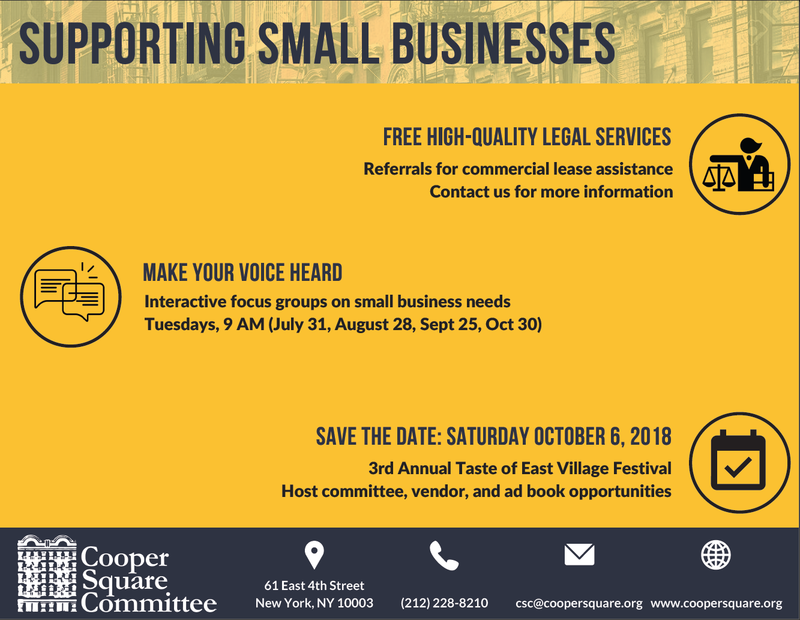 If you’d like to be placed on a waiting list or to be notified about future forums please email Harriet Putterman at harrietp@coopersquare.org . 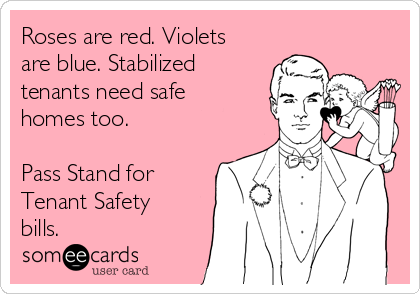 Thank you for your interest and please stay in touch with the Stand for Tenant Safety Campaign by visiting www.standfortenantsafety.com. Download PDF of flyer here. 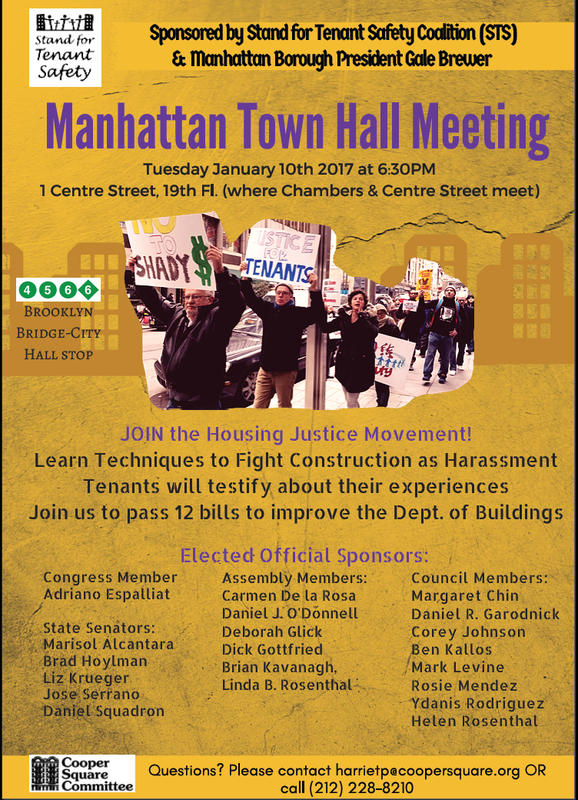 TUESDAY 1/10: Is your Landlord Using Construction to Harass You? SPEAK OUT! We have confirmed our STS Manhattan Town Hall on TUESDAY JANUARY 10TH at 1 Centre Street (19th Fl. South) at 6:30PM. 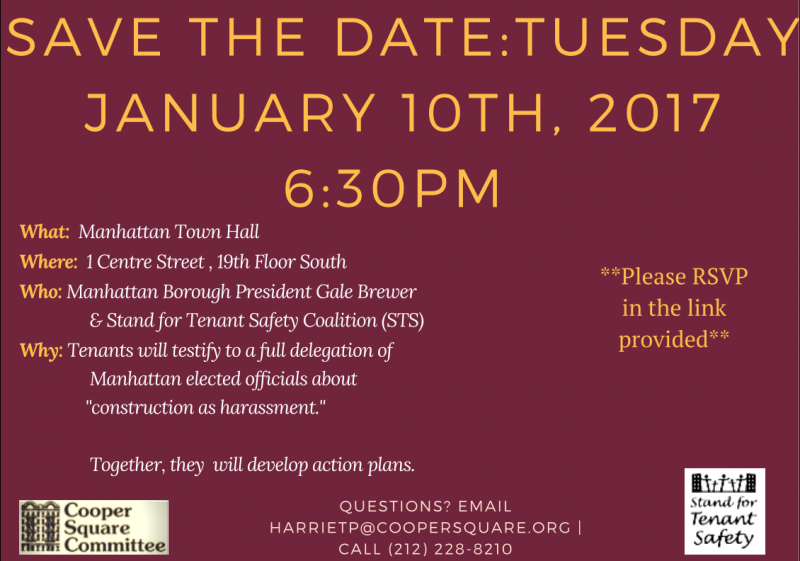 This town hall will be focused on construction-as-harassment issues and how tenants can combat these issues and protect themselves. (This event is part of the Stand for Tenant Safety Coalition, of which CSC is a member. Find out more about STS here.) Let everyone in your organization(s), tenants, friends, and other folks know. We want a big turnout! If you can attend, please fill out this RSVP link so we can get a sense of how many folks can make it. For more info or any questions, read more on the RSVP page, or contact Harriet Putterman. You can download a PDF of the flyer here. Our work managing the renovation of the Bea Arthur Residence, which will provide transitional housing for 18 homeless LGBT youth, is generating a lot of press for us and our project partner, the Ali Forney Center. A DNAInfo article that gave an update on the project, and its expected completion in February, 2017, has been shared by a number of media outlets, including Broadway World article and World of Wonder. Our organizing team was so busy in 2015. We accomplished a ton this past year … read on about all the ways we’ve been stopping displacement and building community!! out by making their apartments unlivable through construction work. 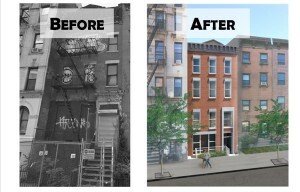 The Cooper Square Committee, a housing preservation organization, and the Ali Forney Center, an organization that serves homeless LGBT youth, have partnered to acquire and renovate 222 East 13th Street in order to provide quality, safe, transitional housing for homeless LGBT teenagers and young adults, ages 18 – 24. The building is known as the Bea Arthur Residence. There are an estimated 4,000 homeless teenagers in NYC. According to a 2008 Census survey, up to 40% (1,600 homeless teenagers) are LGBTQ. As LGBT youth come out earlier, unfortunately some of them face rejection by their parents and are forced out onto the streets. These otherwise high functioning young people are placed at risk. They need a safe environment, which this housing will provide, so that they can prepare for adulthood. 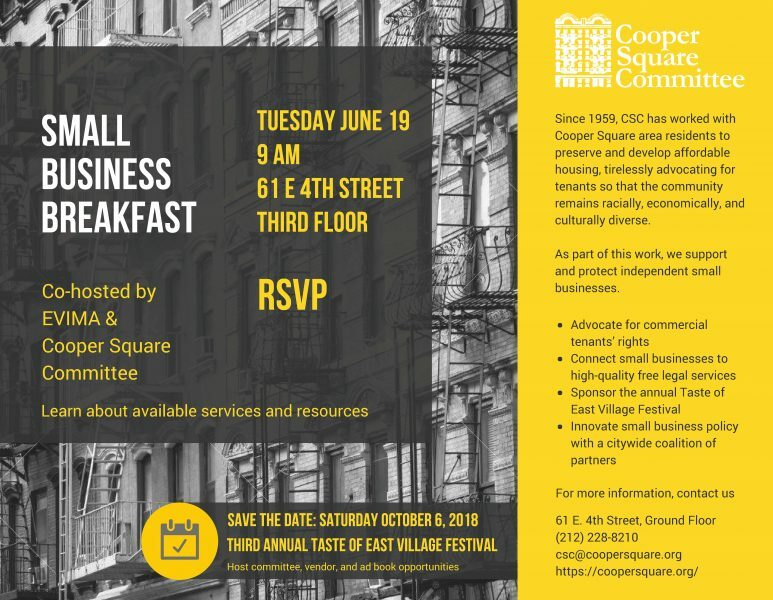 Cooper Square Committee and the Ali Forney Center formed the Bea Arthur Residence Housing Development Fund Corporation (HDFC) as part of the solution to this crisis. We obtained a $3.3 million capital grant from the New York City Council and the Borough President in Fiscal Year 2013, and $40,000 in gap financing from private sources. We hired architectural firm, Magnusson Architecture and Planning to design 222 East 13th Street as a 3 unit building with 3 bedroom apartments to house 18 homeless LGBT youth. This 4 story building is getting an addition in the rear, enlarging it from 4,900 sq. ft. to over 6,000 sq. 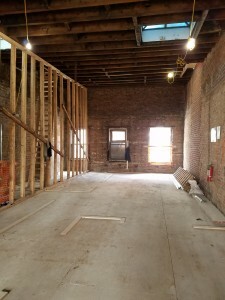 ft.
Cooper Square Committee is serving as project manager from the pre-development stage through completion of the renovation of the building, right up to obtaining a permanent certificate of occupancy. Upon completion, the Ali Forney Center will handle rent up of the 18 beds and providing the on site supportive housing services to the residents. The Ali Forney Center will occupy the ground floor space. On June 30, 2015, the Bea Arthur Residence HDFC acquired 222 East 13th Street from the City’s Department of Housing Preservation and Development. Renovation began on September 8th, 2015. After work started, we experienced a 6-week Stop Work Order in late October because the Dept. of Buildings found that the chain link fence in front of the building that had been installed by the City in the year 2000 was done without a permit. We resumed in early December, 2015. 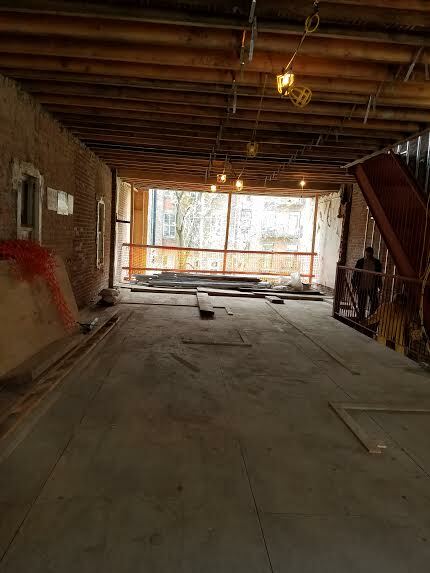 The renovation, which will be carried out by our general contractor, Builders-R-Us Construction Corporation, will restore this historic building, which dates from 1851, and provide a safe home for 18 homeless LGBT youth so that they can live free of stigma and make plans for their future. If you wish to make a donation in support of this project, you can make a check payable to “The Bea Arthur Residence HDFC” and mail it to c/o Cooper Square Committee, 61 East 4th Street, New York, NY 10003. This project is on a tight budget, and we need to raise another $35,000 to deal with increased soft costs during construction, including special inspection fees and a new City requirement that we file a fire safety and evacuation plan. Monday, July 20, 2015: Welcome to the “groundbreaking ceremony” for the Bea Arthur Residence, an 18-bed residence for homeless LGBT youth at 222 East 13th Street in Manhattan. The project is sponsored by the Ali Forney Center and the Cooper Square Committee. The Cooper Square Committee is serving as the project manager from the pre-development phase through completion of construction. The Ali Forney Center will operate the building and provide on-site 24/7 services to residents when the building is rented up. In 2012, the project received $3.3 million in New York City Capital (Reso A) funds. The New York City Council, led by the efforts of Councilmember Rosie Mendez, former Council Speaker Christine Quinn, former Finance Committee Chairperson Domenic Recchia and members of the Lesbian and Gay Caucus secured $3 million in funds, and the Manhattan Borough President, Scott Stringer awarded $300,000 for the renovation of a long vacant building owned by the New York City Department of Housing and Preservation Development. We received a $180,000 pre-development loan from the Contact Fund, and an additional $40,000 in private funds was loaned by the Cooper Square Mutual Housing Association and the Cube Building. The Bea Arthur Residence HDFC took title to the building on June 30th, and renovations are expected to begin later this month. Bea Arthur gave one of her final public performances as a benefit for the Ali Forney Center in 2005. She was very upset to learn that hundreds of thousands of LGBT teens were rejected by their families, and driven to homelessness. She said that she would do anything in her power to help these teens. When she died in 2009, the Ali Forney Center learned that she had bequeathed $300,000 to them in her will. At that time, Carl Siciliano, the Executive Director of the Ali Forney Center, pledged that the first building they owned would be named in her memory. 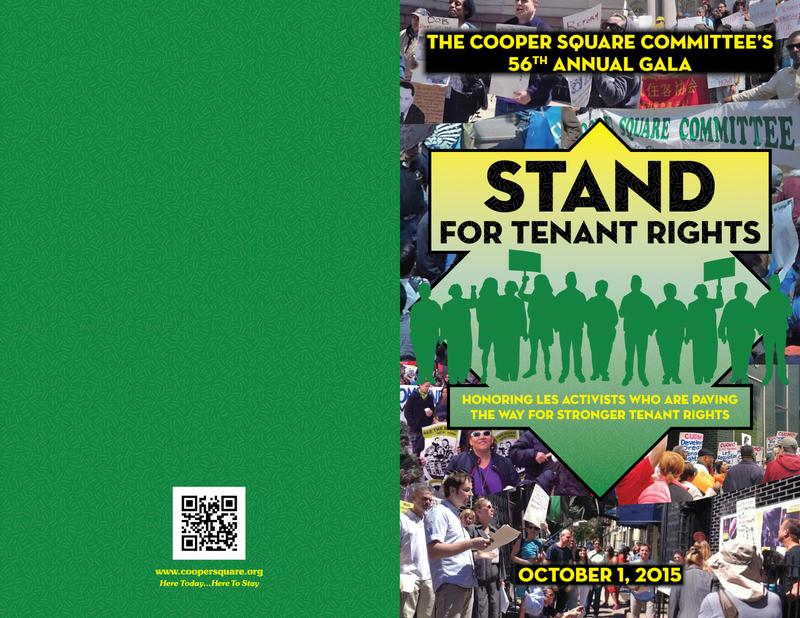 The Cooper Square Committee is an affordable housing preservation and tenant rights organization that has sponsored over 550 low income apartments, including dozens of homeless housing units. The Ali Forney Center ( AFC ) is the nation’s largest organization dedicated to homeless LGBT youths, AFC is committed to providing these young people with safe, dignified, nurturing environments where their needs for housing and support can be met, and where they can begin to put their lives back together. AFC is also dedicated to promoting awareness of the plight of homeless LGBT youth in the United States with the goal of generating responses on local and national levels from government funders, foundations, and the LGBT community. “We approached the Ali Forney Center several years ago and proposed that we partner to develop this vacant city-owned building as housing for homeless LGBT youth, and they agreed. We’re thankful that the NYC Dept. of Housing Preservation and Development liked the project idea and worked with us to make this pioneering project a reality”, said Steve Herrick, Executive Director of the Cooper Square Committee. 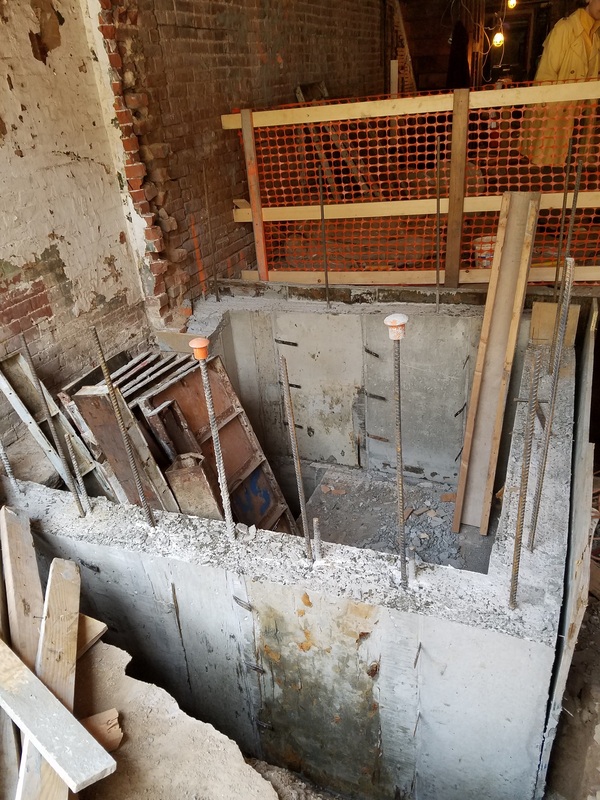 The development team for the project includes the architectural firm, Magnusson Architecture and Planning (MAP), the Lawyers Alliance of New York which formed the Bea Arthur Residence HDFC and handled the closing, which took place on June 30th. Builders-R-Us Construction Corp., a minority business enterprise, will serve as the general contractor to carry out the gut renovation. MAP’s design involves building an addition in the rear to add over 1,100 sq. ft. of space, allowing for the creation of three 3-bedroom apartments, each of which will house 6 residents. The basement will house the Ali Forney Center’s staff to provide services to the residents. The enlarged, 6,000 sq. ft. building is being developed in accordance with Green Communities standards, to maximize energy efficiency. It will contain engineered bamboo flooring, and other green design elements. The Bea Arthur Residence HDFC is being assisted in developing this green building by the Association for Energy Affordability and the Northern Manhattan Improvement Corporation. The Bea Arthur Residence will be compliant with the Americans with Disabilities Act, and will include an automatic wheelchair lift to the building entrance in the basement. 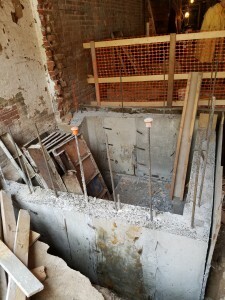 It will have a limited use elevator from the basement to the first floor so that one third of the units will be accessible. Each 3 bedroom apartment will be at least 1,150 sq. ft. with a full kitchen, 2 bathrooms, and a spacious living room. There will be a laundry room in the basement for residents, and storage space in the sub cellar. “We’re really excited about the redesign of this historic building”, said Carl Siciliano. “It will create a warm, home-like environment for our residents rather than an institutional one”. 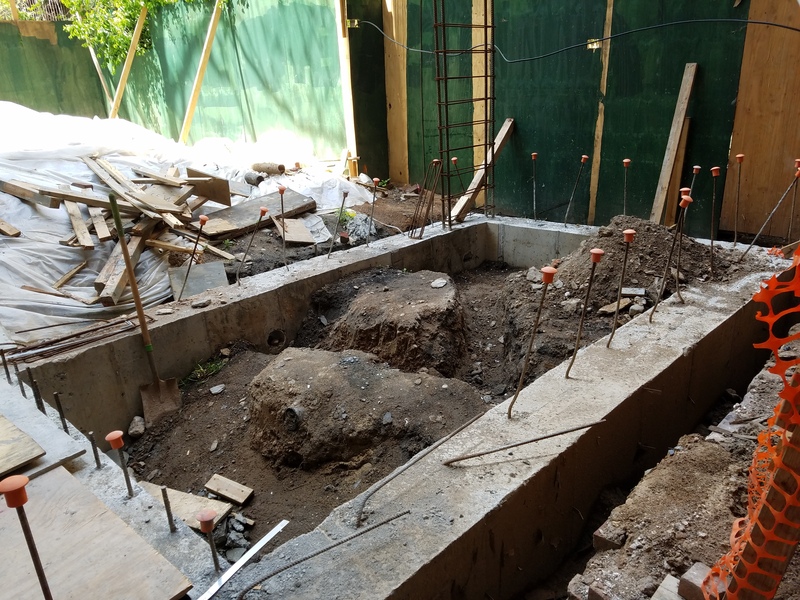 The project sponsors aim to raise some additional funds to complete the landscaping plan designed by Terrain NYC, install signage naming the building after Bea Arthur, and to cover some soft costs. “Due to escalating construction costs in NYC, we had to scale back some elements of our architect’s design for the building,” said Mr. Herrick. Another $75,000 will help us realize our vision for this pioneering project”. We got a rent freeze! In a historic decision, the Rent Guidelines Board voted for a rent freeze for one-year leases and a two percent increase for two-year leases. This is the first time in the RGB’s 46 year history rent-stabilized rents have been frozen. 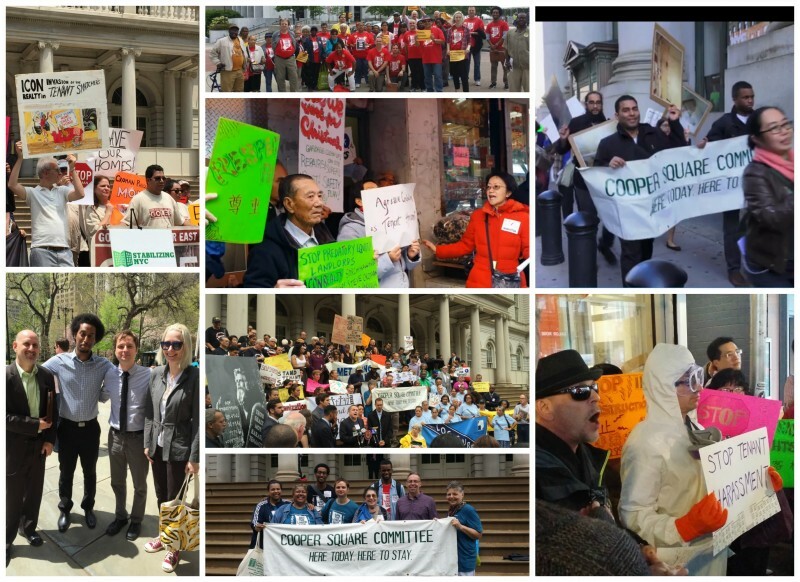 New York City has faced unreasonably high rent increases for far too long, but yesterday, tenants conquered. After the huge disappointment in Albany, we proved we are not powerless — we still have control over what happens to the tenants in our city. Only days after thousands of tenants took over Albany on Tuesday for stronger rent laws, and after seven activists were arrested Thursday morning while blocking the entrance to Governor Cuomo’s NYC office, Andrew Cuomo is back to playing games. A week ago he called for stronger rent laws and an end to deregulation. Now he says the best he can do is renew them in their current weakened form. 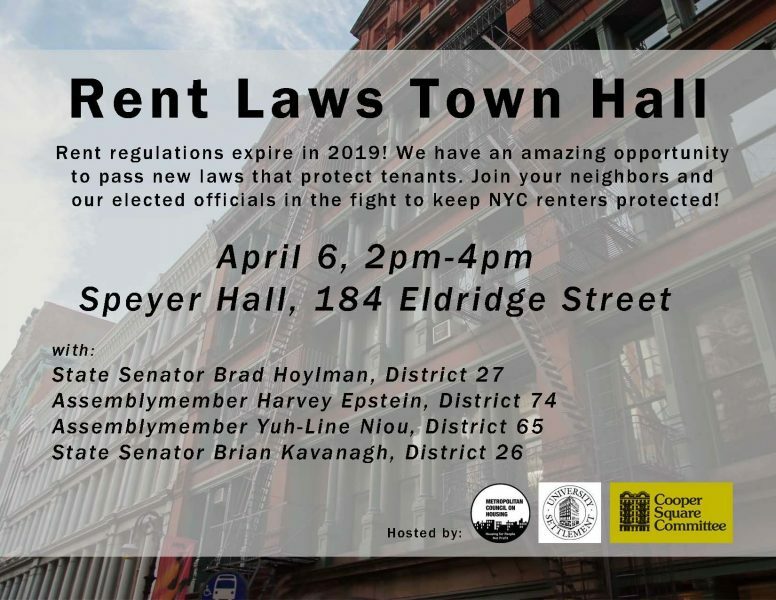 A straight extender of the rent laws as is would be a disaster, resulting in a steady loss every year of rent-protected apartments in NYC and the three suburban counties, and an ultimate end of the program. 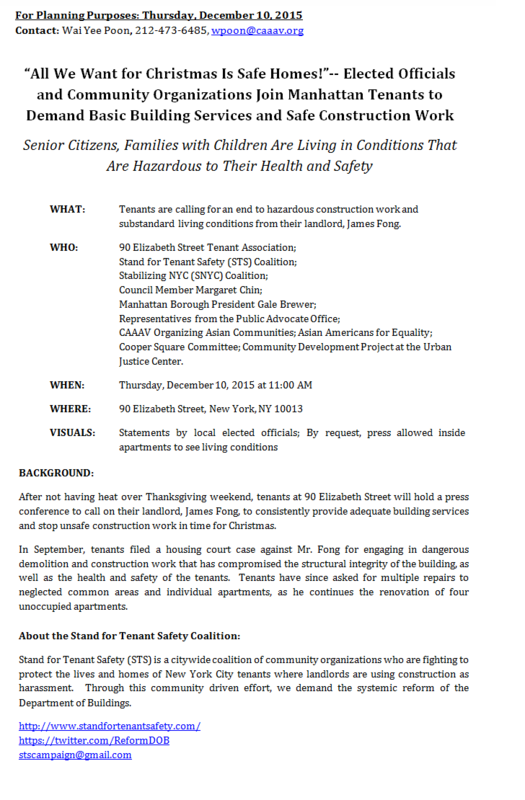 Tell Governor Cuomo: Tenants Are Watching & We Will Remember. The more calls he gets on this issue the better! Get your friends and neighbors to call! 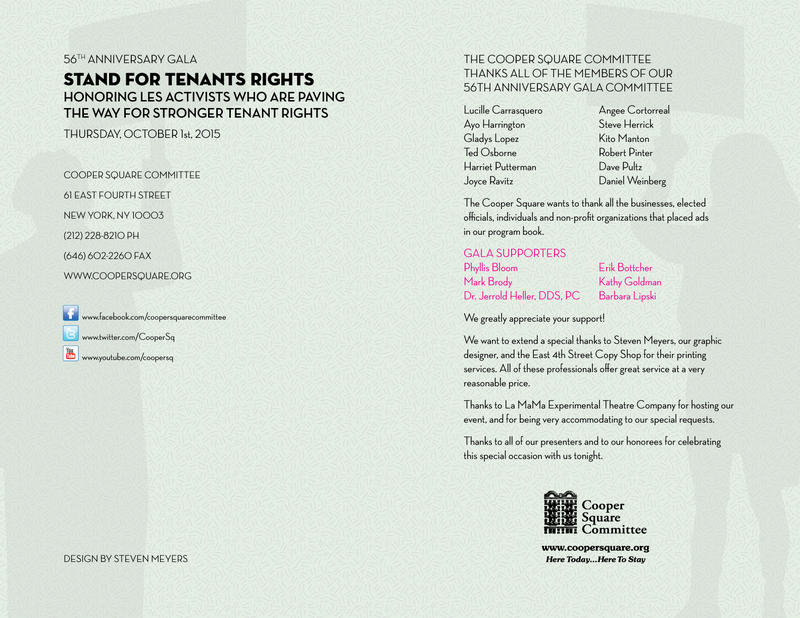 at (212) 228-8210 or csc@coopersquare.org. 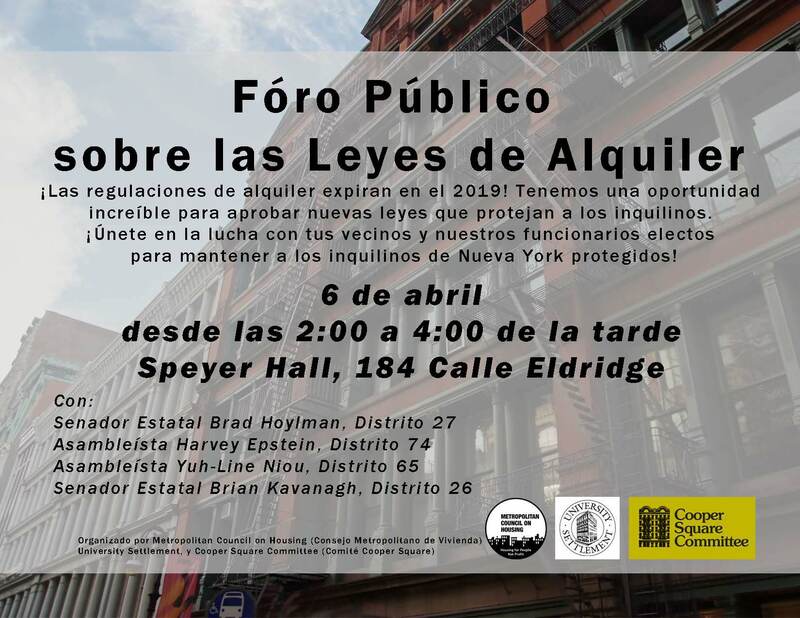 Attorneys and housing advocates will be present to inform tenants of their housing and personal property damage rights. No appointment is necessary. Tenants, relatives and their friends are welcomed to this meeting. It’s been 2 weeks since the tragic explosion at Sushi Park at 121 2nd Avenue caused a fire that resulted in the collapse of 119, 121 and 123 Second Avenue. We join in mourning the death of two young men, and the injuries sustained by many others. 15 households in the collapsed buildings lost their homes. Multiple buildings had vacated orders in the immediate aftermath, affecting over 180 households and temporarily closing two dozen businesses. Two buildings, 125 Second Avenue (26 residential units and 2 stores) and 41-43 East 7th Street (22 residential units) still have vacate orders in effect. The NYC Dept. of Buildings stated at a public meeting on April 2nd that they think the vacate can be lifted on the residential units in 2 to 3 weeks once windows on the east side of the building and broken doors are replaced. 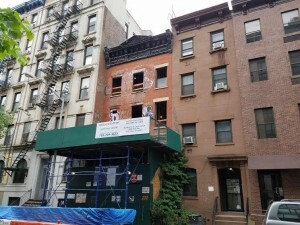 125 Second Avenue has more damage, and repairs are likely to take 4 to 6 weeks before the vacate order can be lifted on most of the units. 4 apartments on the top 2 floors had fire damage and repairs are likely to take several months. The City’s Resident Service Center is now located at 59 East 4th Street in the Community Board 3 office, which will remain in operation til the end of this week. 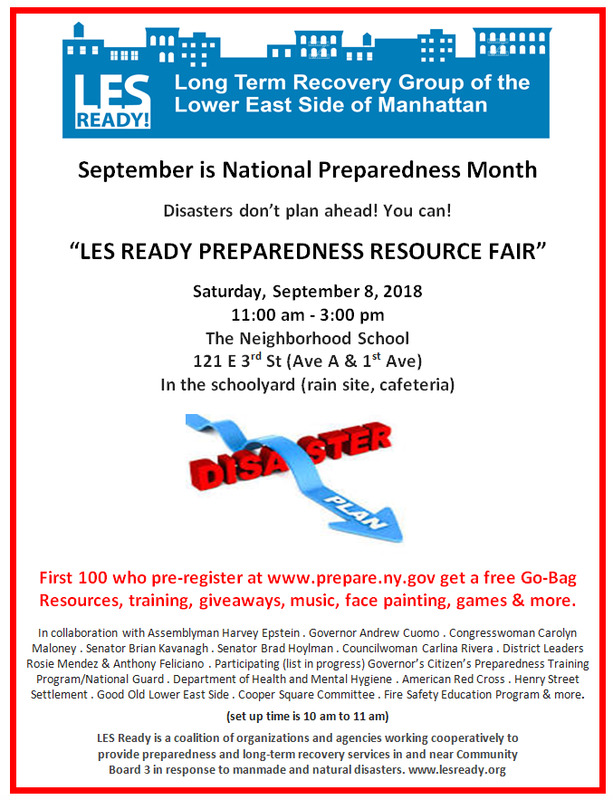 Multiple agencies, including the NYC Office of Emergency Management, the American Red Cross, NYC Dept. 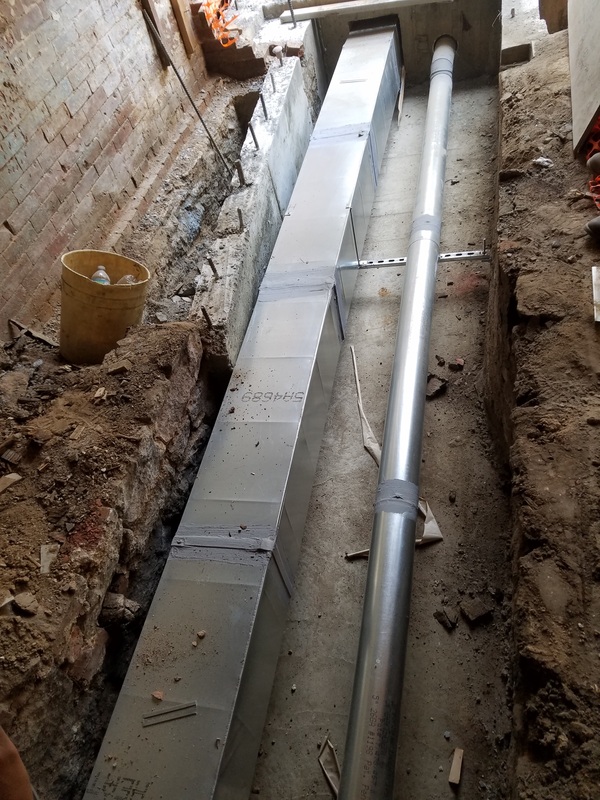 of Housing Preservation and Development, the Human Resources Administration, Con Edison, the ASPCA and Lower East Side Ready have worked to staff it over the past two weeks. As a member of Lower East Side Ready, the Cooper Square Committee (CSC) partnered with GOLES to co-sponsor a legal clinic on March 30th for displaced tenants, inviting attorneys from MFY Legal Services and the Urban Justice Center as well as a couple of private attorneys to advise tenants about how they can secure their right to return, expedite repairs and obtain compensation for damages. Follow up meetings with affected buildings are planned. Given that a criminal investigation is underway, criminal and civil cases are likely to be a lengthy process. 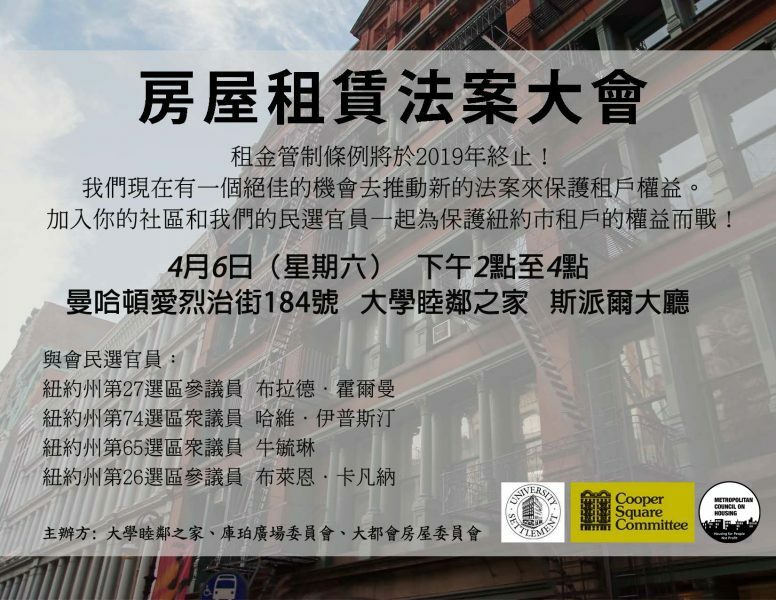 CSC and the Cooper Square Mutual Housing Association (MHA) have begun to interview several of the tenants whose homes were destroyed to arrange placing them in temporary housing in MHA apartments. Other housing providers have also offered assistance. We will continue to work with our local elected officials, government agencies and non-profit partners to assist affected residents and businesses in any way we can to help them recover from this disaster. If you wish to offer financial support to those affected, you may donate to the Mayor’s Fund to Advance NYC (link below). If you are concerned about the welfare of someone who may have been affected by the collapse and are unable to contact them, please call 311. From outside of NYC, call (212) 639-9675. The Mayor’s Fund to Advance New York City is accepting donations to assist those affected, here. Our organizing team was so busy in 2014. We accomplished a ton in this past year… read on about all the ways we’ve been stopping displacement and building community!! Click here to download the PDF version of this Roundup! 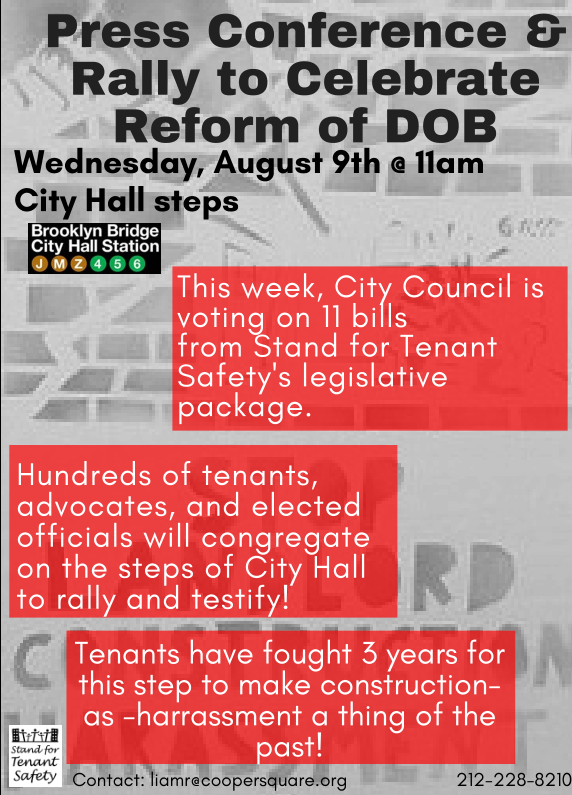 Through partnering with St. Nick’s alliance and the Urban Justice Center (UJC), Cooper Square Committee (CSC) created a much-needed campaign to reform the Department of Buildings (DOB) in 2014. 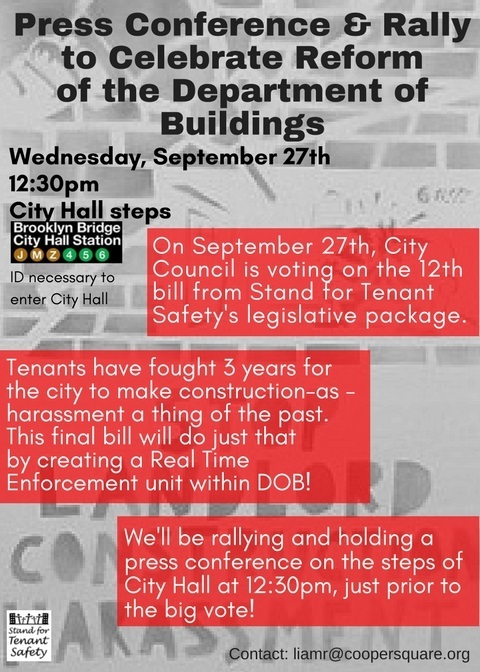 For well over a year preceding this we had been working with community members to organize and draw attention to the problem of “construction as harassment.” In 2014 we were able to further connect with some of our most steadfast allies (close to 20 organizations) throughout the City to formalize a campaign to reform DOB and work on ending “construction as harassment.” The work we did last year is leading us to a pivotal year in 2015 where we will be looking to create new laws to better support tenants who are dealing with landlords who use the guise of construction to harass. Click on any photo to enlarge. All photos on this page taken by CSC unless otherwise noted. CSC’s organizing department was a lead community-group partner with the NYS Attorney General’s (AG) office in their investigation of the “tenant relocator” Michel Pimienta. The organizing we did and information we provided helped the AG wage a precedent-setting investigation which led to the shuttering of Michel’s operations. UJC and CAAAV were also partners in this effort. 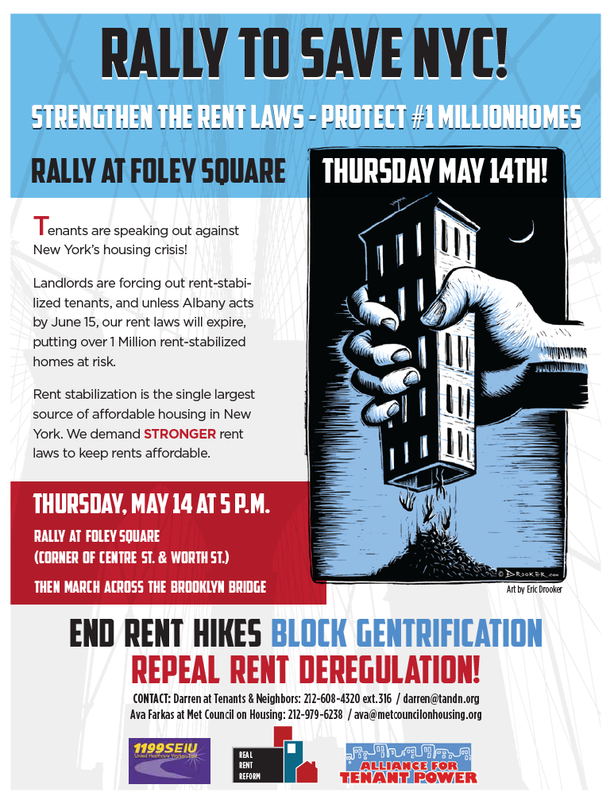 Despite a massive turnout of tenants at last night’s Rent Guidelines Board vote, and calls for a rent freeze, the RGB voted for a 1% increase on one-year leases, and 2.75% for two-year leases. While it’s disappointing that the RGB didn’t vote for a rent freeze, the 1% increase for a one-year lease is the lowest ever in the 45 year history of the RGB. The tenants’ movement can take credit for making that happen. Now let’s focus on strengthening the NY State rent laws when they come up for renewal in June of next year. Let’s stay mobilized! The NYC Dept. of Housing Preservation and Development (HPD) is expected to file the Urban Development Action Area Plan for the Bea Arthur Residence at 222 E. 13th St. with the City Council in the coming weeks. The City Council must pass a resolution designating the project a UDAAP, and authorizing a long term tax exemption, which is a formality since local Councilmember Rosie Mendez is a strong supporter of the project and helped secure $3.3 million for its development. 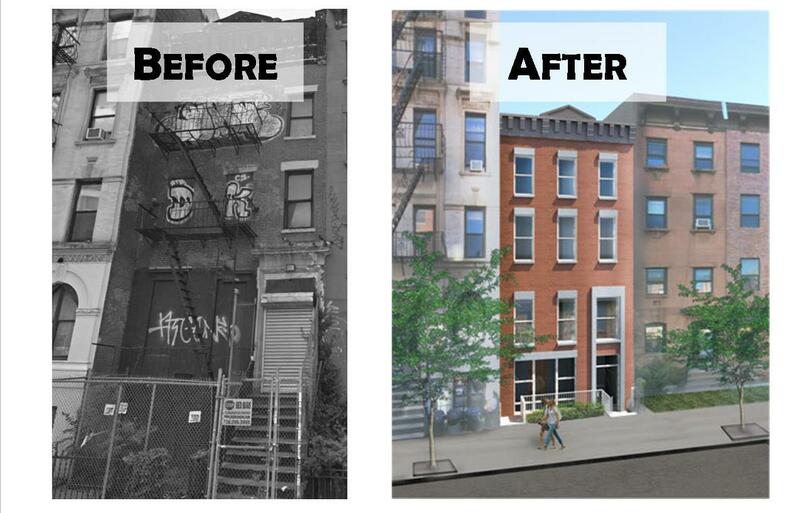 The Cooper Square Committee (CSC) is partnering with the Ali Forney Center (AFC) to renovate a vacant building at 222 E. 13th St. to house 18 homeless LGBT youth ages 18-24. CSC has done the bulk of the pre-development work, and will oversee the renovation, and AFC will rent up and manage the building when it’s completed. Project architects, Magnusson Architecture and Planning are expected to file the approved building plans with the NYC Dept. of Buildings within the next week. “We are hoping to acquire the building by the end of May, and start renovation immediately after that” says CSC Executive Director, Steve Herrick.